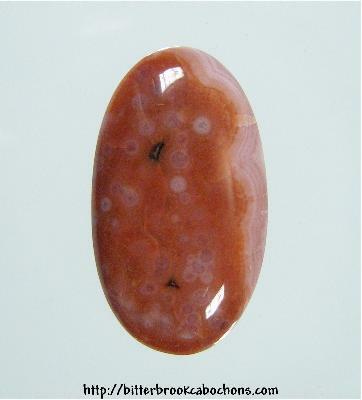 This Ocean Jasper cabochon has muted orbs and a soft reddish-orange color. Unspectacular, yet appealing! 24.5mmm x 14mm x 5mm. Weight: 13.10 carats.